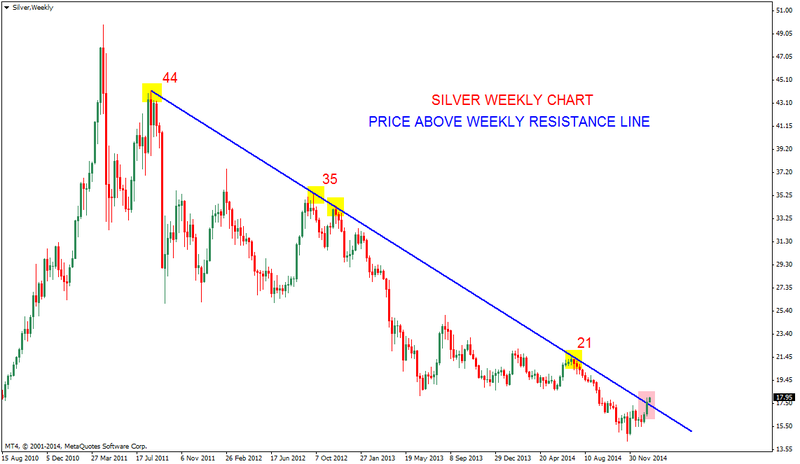 Silver trading above the falling resistance line. 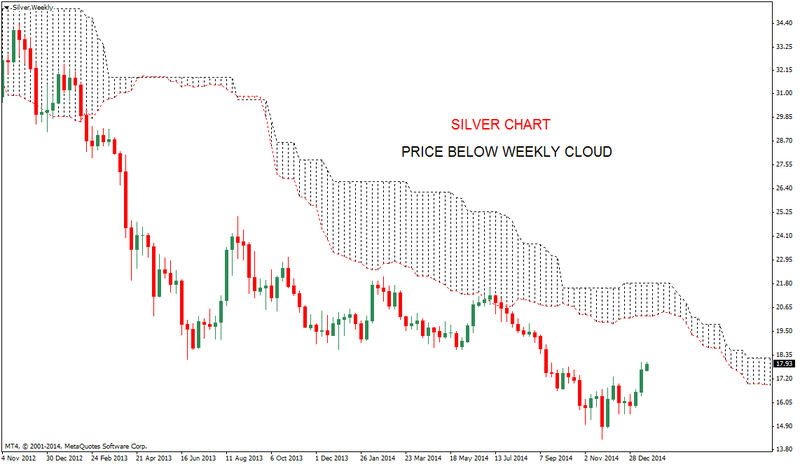 18-19 zone and the weekly cloud will be big test for silver bulls. 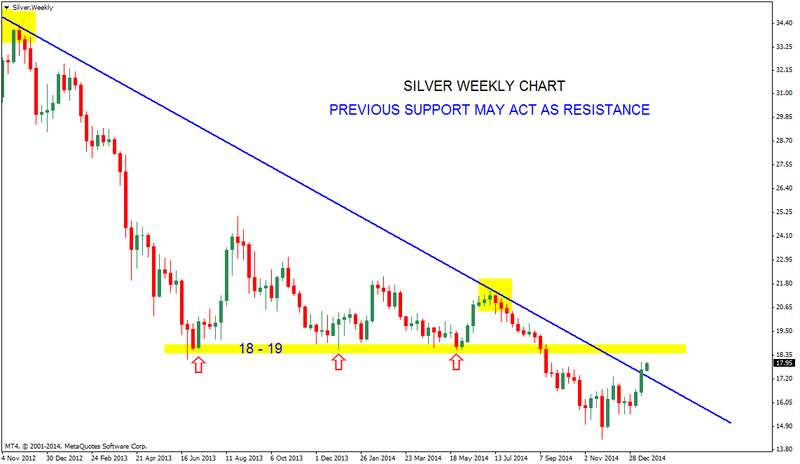 Medium term trend can only turn bullish on closing above these levels.